The Tip turns out to be a trap. 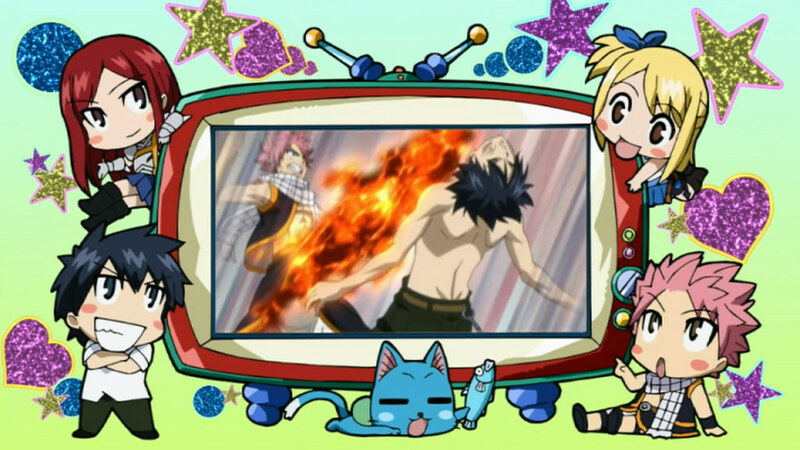 After a great bunch of episodes, Fairy Tail slows down a bit as things take a bit of a weird turn before the next big arc. 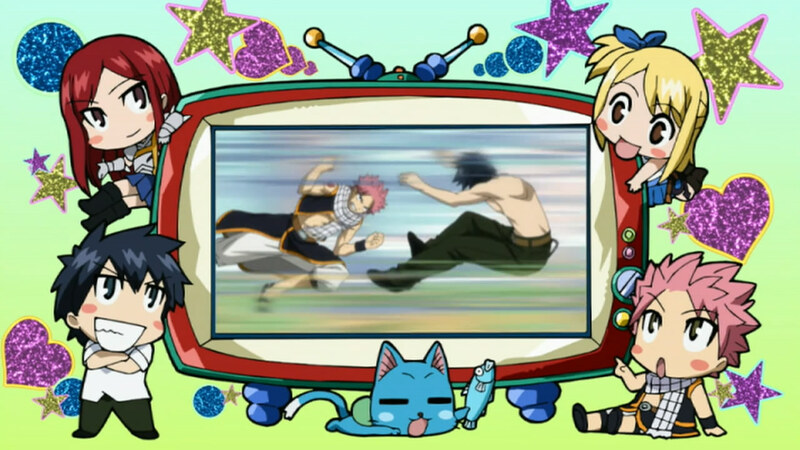 First of all we get to see Wendy’s welcoming into Fairy Tail. 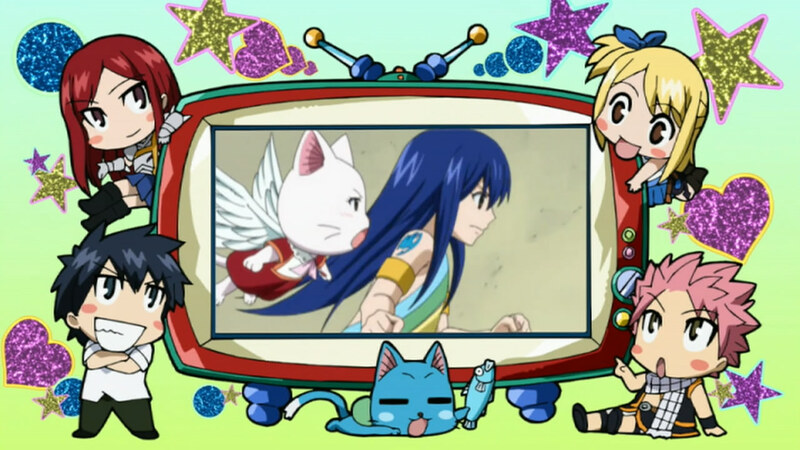 As expected, the people at Fairy Tail welcome her with open arms and a warm friendly smile. 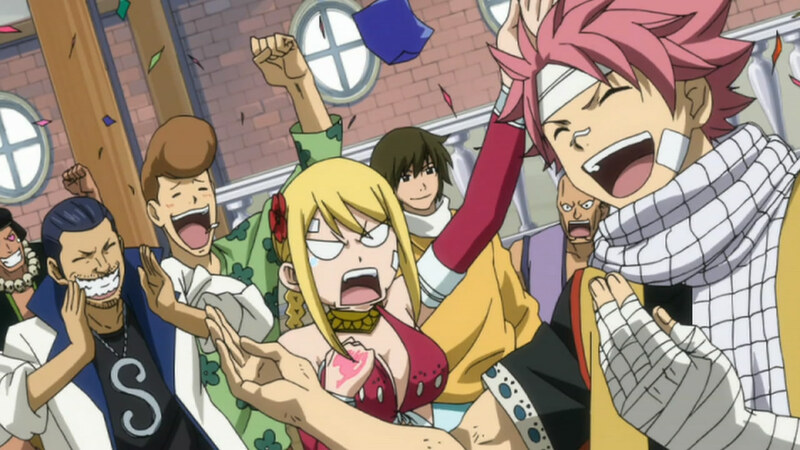 Its clear enough that the Fairy Tail guild is pretty much one big happy Family. Its always great to see them interact. 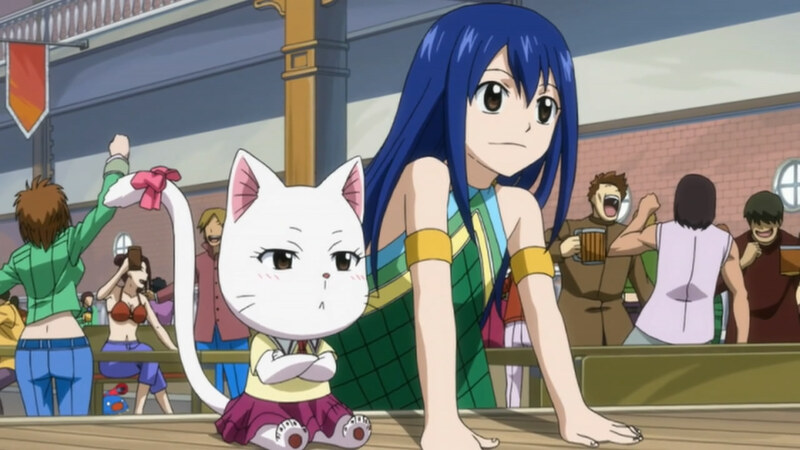 The one big issue with I have Fairy Tail in general is that it has all these awesome characters, yet they hardly get much screen time. I’m curious to see some of the other members of Fairy Tail be an active part of the story. 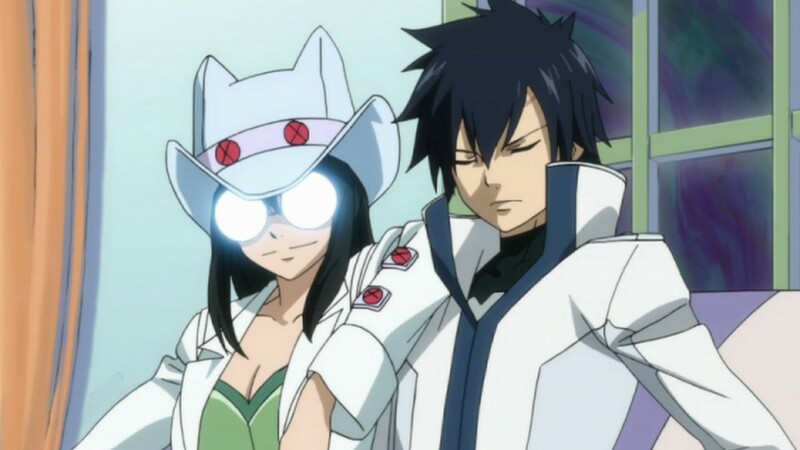 I especially want to see cool characters like Juvia and Gajeel get some screen time. I’m assuming this part is filler, as some people mentioned in the comments. It does reek of filler, and honestly, labeling Gray as the poor sap that got stuck in some sort of spell and now is after Natsu? I’m not that thrilled by the idea. We do see that Gray and Natsu have a rivalry but by this point its been established that Natsu is obviously the superior one, and that Gray falls a bit short. If they were evenly matched, then it would definitely be interesting to see Natsu and Gray go at it. Right now? Its just… meh at best. The other thing was Erza being attacked by someone, also leading to another mystery gang that is trying to attack Fairy Tail’s strongest team. This story has the potential to be interesting, given that its not related to the whole Gray thing. Speaking of which, the new girl, Daphene, was a bit funny, if somewhat weird. All in all, I don’t mind this kind of episode. Its a break from the intenseness, but I wish it was less about Fairy Tail fighting against each other, and more about character moments. There’s a lot of interesting story and character moments to be had in this world, and it can be done without Natsu and Gray having to punch at something. I’m not impressed, but I’m not totally hating this either. I guess this filler arc will be decent but not exceptional. 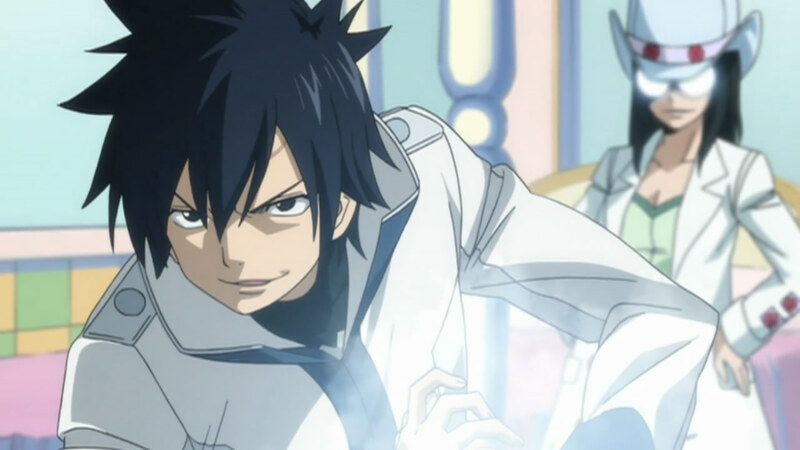 Gray takes on Natsu, next week!